Studying in the student center. This photograph was found in a yearbook from 1982. 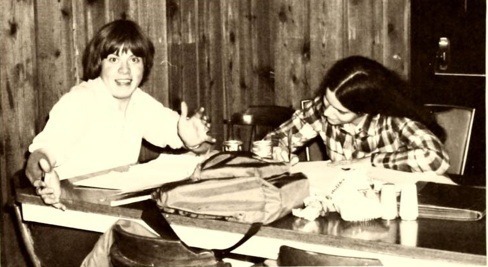 Just like today, the student center was a popular place for students during the 1980's. It was a common area for students to spend their free time, do homework, and catch up with friends. There was also a pub in the student center where students could relax after a busy and have drinks with friends.